Wow - what a change the past 6 yeas have brought. We are all older, of course. Hopefully, we are wiser and still enjoying our "retirement adventure". 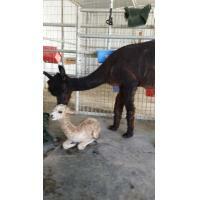 We started with 3 pregnant females and a 1 year old maiden. 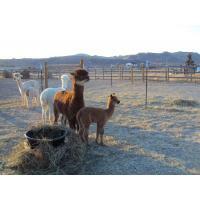 We now have grown to a herd of 32 of our own and 3 agisted (taking care of for the owners) alpacas. 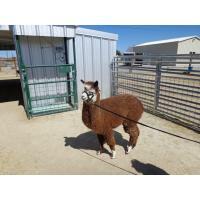 Needless to say, we have added more shelters, converting one to a mare barn with a vet pen and halter system, which allows us to more easily trim toes and teeth. 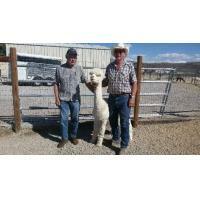 Glenn has devoted the last 6 years to learning, mentoring, showing alpacas. I still maintain all the book work, try to keep the websites up to date, make or order products to sell at our various locations and events. 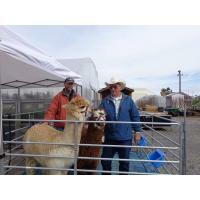 We have, in the last few years gone from showing alpacas and products at Rail City Garden Center in Sparks NV to various other locations. 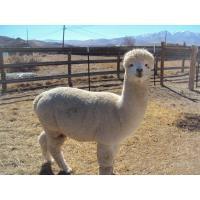 We take alpacas and products to Ranching at Rancho San Rafael Park here in Reno once or twice a month, Great Basin Community Food Coop and, of course, once or twice per month to the Reno Town Mall - Buy Nevada First Store. 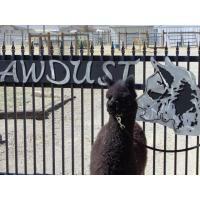 You will also find our products for sale in the store. 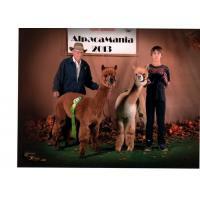 We took 3 alpacas, Miss Jessinia, Aningeria and Mr. Tesota to the Alpacapalooza show in March 2015 in Vancouver, Washington. 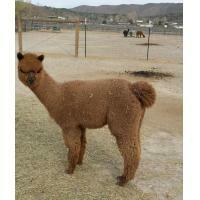 We came home with 4 alpacas and 4 ribbons. 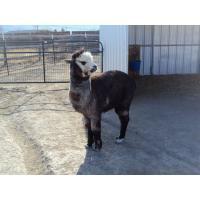 Miss Almond Joy, 8 months old, joined our group of young alpacas. We like her a lot. 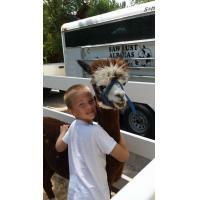 We sheared our alpacas May 2- 4th. Now we will be skirting (cleaning) and sorting the fiber to go to the mill for spinning into yarn, or for direct sales to persons wanting to spin their own yarn. 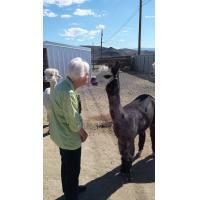 What doesn't go to the mill for spinning will be shipped to the Alpaca Blanket Project. Last year we sent over 500 pounds of fiber to the Blanket Project and have been able to add some nice products (blanket, scarves, socks) etc. 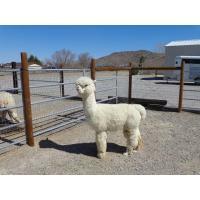 to our inventory for purchase at Buy NV First, Great Basin Community Food Coop, and other locations..
Another item that we have added this year is the Alpaca Soil Enhancement. This is an all natural substitution to chemical fertilizers. 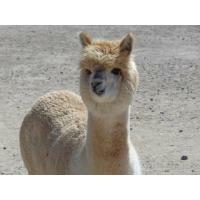 Alpaca "bean" (poop/waste) is a great alternative to the chemical soil enhancers you are now using. We have 2 and 10 pound burlap bags available. 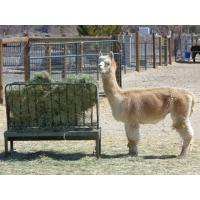 We can also load your pick up truck or trailer with the product (Washoe County Parks and Recreation come about once a month with a dump trailer to stock up for the parks) Another option is "paca tea" for your house plants. Again the waste is packed in small 6 oz burlap bags. Put the bag in a gallon of water for 25 hours, then water your house plants. One bag can be reused 2 or 3 times. Then take the bag out of the water and plant it outside by one of your shrubs. 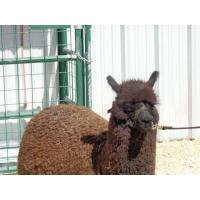 One other thing that we have learned this year is to use our left over fiber or yarn to make alpaca dryer balls. 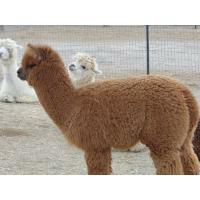 We sell these in a package of 4 (recommended 4 to 6 dryer balls per load). The dryer balls will decrease the wrinkles, static i n your clothes, cut down the drying time and can be reused for years. So we now spend some evenings making dryer balls and have extra yarn left from my knitting or crocheting projects. 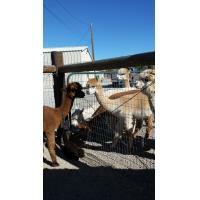 Check our growing herd! 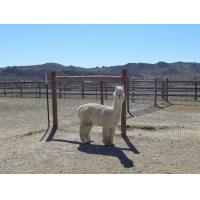 We are on Facebook, OpenHerd.com, and have had several articles and ads published in Alpaca Culture Magazine as well as several others. 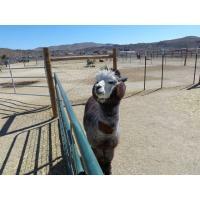 Come see us at the ranch.